CoinMetro-The era of our life is now experiencing tremendous development with the discovery of various technologies to support and assist all our activities. In the world of economics has been found a technology called blockchain that really extraordinary has contributed to the development of the global economy with a revolving fund almost touched trillions of dollars and will continue to grow in response to global challenges. Blockchain itself develops rapidly because of its decentralized nature without any interruption or regulated by binding entities. Transactions are digital but safe and fast and the cheaper cost is what makes blockchain grow rapidly. In addition, the extraordinary value of transparency without any cover-up is what makes many people interested in joining the community formed by the blockchain technology itself. From the initial journey begins, blockchain offers a technological concept that is certainly very pro-civic to civil society, especially those with low economic levels. Over time, blockchain has successfully transformed the economic life of many people towards a better even has led to new businessmen and continue to provide opportunities to anyone who has a creative business innovation and can provide benefits for many people. During its journey, blockchain with its digital assets has experienced many experiences and there is a shortage read by Coin Metro that is used as an opportunity to do business by them. That is, the lack of financial system services that provide all the good and satisfying services for its customers. Talking about this Coin Metro not only offers a theory in paper alone, more than that they hope their platform will bring the future of blockchain to be better and continue to add support from the people of this earth. Coin Metro offers an experienced financial platform since 2011. Where they previously established FXPIG, a successful forex broker. Based on the support of the people behind them, they continue to pursue the goals of the company by strengthening the value of transparency by partnering with this blockchain technology. They will continue to compete and provide the best service compared to its competitors by officially issuing Coin Metro Exchange. 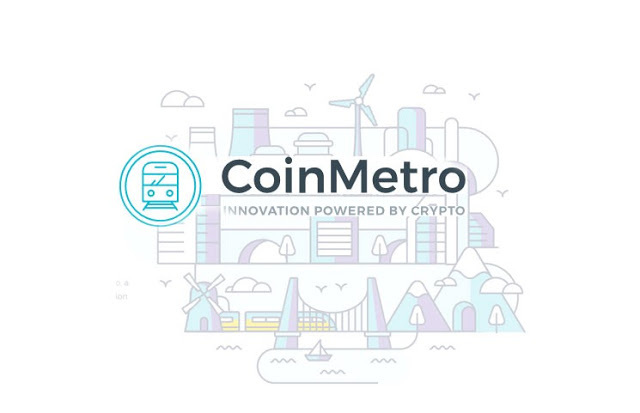 Coin Metro presents a platform with a consumer-focused framework, also centering on three major services that have never before existed on other platforms, cryptocurrency exchanges, trading platforms and ICO platforms. Just imagine with one account on the Coin Metro platform, you can use all the services you need so far using multiple platforms and of course from different companies. This gives Coin Metro great power to gain success and has proven to have raised more EUR 11 million and will continue to grow as the token sale goes on. For those of you who are interested in their joint success there is no harm to invest by purchasing an XCM token they provide at a price at the time of the ICO of 0.12 EURO. For more information and more details you can follow their official links which I will share the link at the end of this article. Thank you for visiting.